ISTANBUL, 9 June 2010: Turkey will support Pakistan’s candidacy for non-permanent seat of UN Security Council. 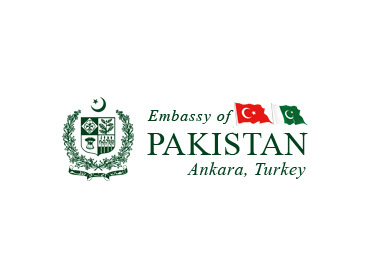 Turkey also offered support and preparatory work on next Friends of Democratic Pakistan (FoDP) Ministerial meeting to be held in Brussels in October this year. Turkish President H.E. Abdullah Gül said this to Foreign Minister of Pakistan Makhdoom Shah Mahmood Qureshi who met the President at Istanbul today. H.E. Abdullah Gül informed that Turkish businessmen are now investing in the energy sector projects in Pakistan and showed satisfaction over the level of growing economic ties. The President thanked the leadership of Pakistan for their warm welcome during his recent visit to Pakistan and said he noticed so much affection on the faces of people in his every engagement. Mr. Gül also appreciated the level of support that the Government of Pakistan and the people of Pakistan provided over the Peace Flotilla issue. The President acknowledged Pakistan’ support for the Turkish initiative to defuse tension over Iran’s nuclear issue that resulted in the May 17 nuclear fuel exchange deal. Foreign Minister on the occasion expressed the hope that this agreement would pave the way for a negotiated resolution of the controversy surrounding Iran’s nuclear program. He shared that Pakistan had consistently advocated for a peaceful resolution of Iran’s nuclear issue by recognizing Iran’s right to use of nuclear technology for peaceful purposes while adhering to its NPT obligations. Mr. Qureshi expressed deep condolences over the loss of lives of peace activists onboard the Peace Flotilla, where Israeli forces brutally murdered nine people on Turkish ship Mavı Marmara on 31st May 2010. He informed that both the Houses of Parliament of Pakistan has, through a unanimous resolution condemned this naked act of aggression and state terrorism by the Israeli Government. It constituted a blatant violation of international law and human rights, and was fact a crime against humanity. The Minister congratulated the President of Turkey for assuming the Chairmanship of the CICA and on organizing the 3rd CICA Summit in an effective manner. He said the joint declaration adopted at the conclusion of the Summit speaks in itself for the success of the event. The Foreign Minister was leading Pakistan’s delegation to the 3rd CICA Summit held at Istanbul from 7-8 June 2010.